Compound Design boasts the only 5x10 foot CNC router in the El Paso area that’s available for any job. 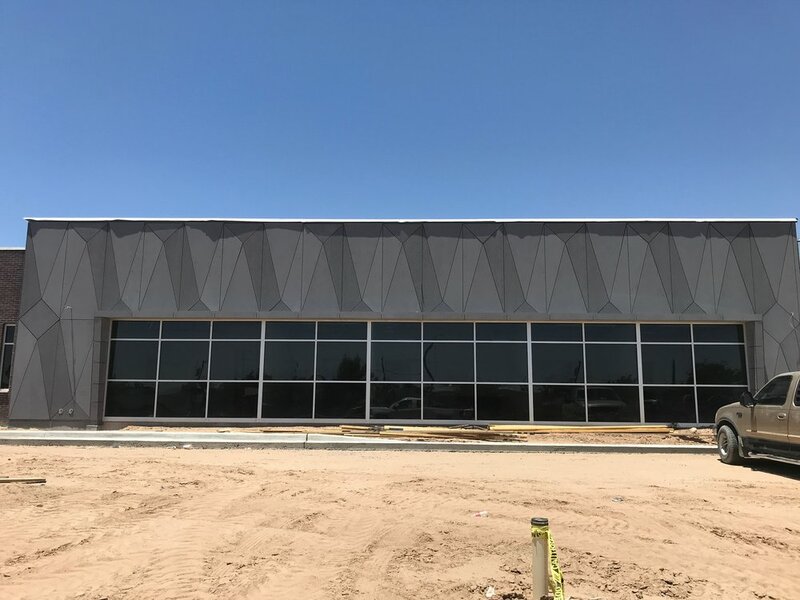 That is just what Diversified Interiors was looking for when they reached out, curious if we would be willing to process nearly an acre worth of Equitone® Fiber Cement architectural cladding for the soon-to-be-completed Bel Air Middle School project in El Paso’s Ysleta Independent School District. Material was delivered to the shop, processed, then prepared for pickup on a “just-in-time” basis, matching the pace of installation to within half a day and preventing the need for the storage of cut panels. 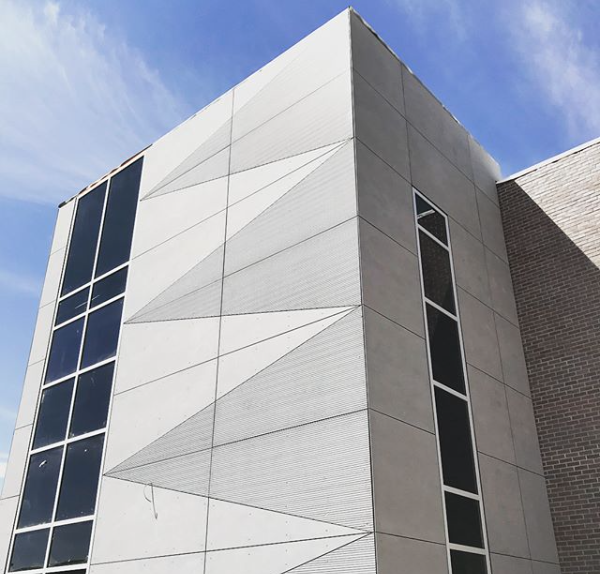 Our largest job to date, this project launched us into the world of commercial architectural panel processing and we look forward to the next opportunity.